This piece was my first collaboration with my daughter Yumi. She has watched me work since she was a baby and now, at 24, I trust her eye better than my own. 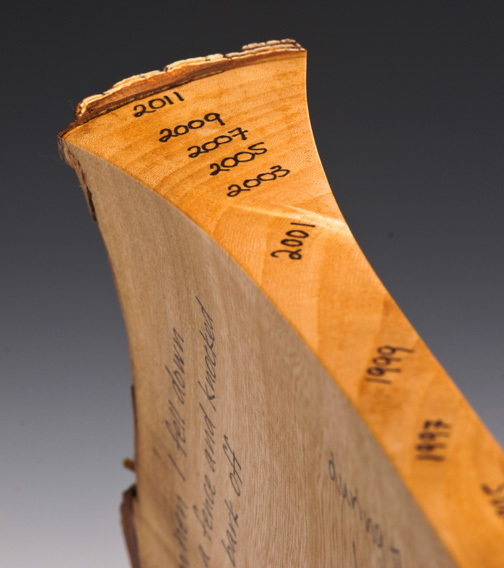 We made this piece to draw attention to the history of the tree as recorded in its grain. 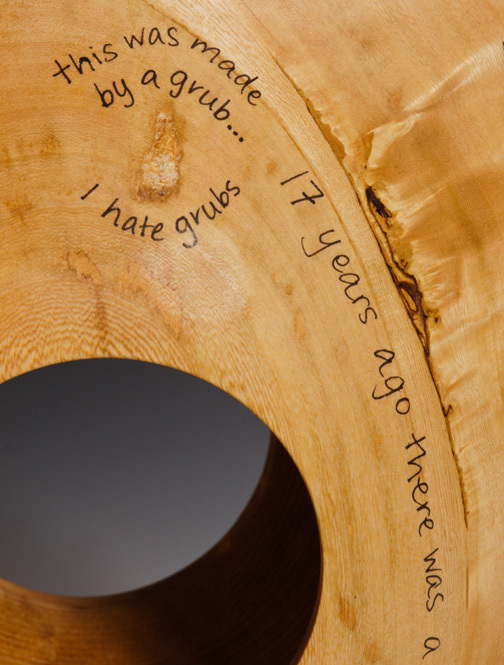 Everything that has ever happened to a tree is written within, from quiet years when growth was good, to drought, trauma, and, in this case, the final event. The tree was destroyed by the massive flood that swept our city in 2011. As with flood bowl, we wanted to go beyond making beautiful things in wood. 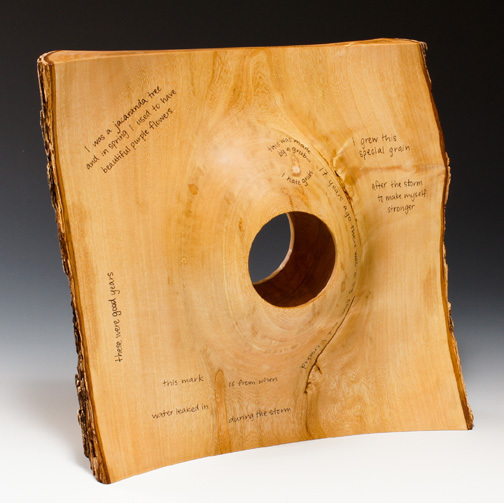 If you lean close to this piece you can read the story of the tree, written as if spoken by the tree itself.